SUMMARY: The story revolves around two women, Sile (pronounced as Sheila) is a 39 year old Irish flight attendant from Dublin which also has an Indian descent and Jude a 25 year old museum historian from the rural Ontario, Canada. They met on a plane when Jude travelled abroad for the first time. They formed a unique friendship from phone calls and E-mails. In spite of distance, they found comfort with each other then fell in love. With distance, race, cultures and age, the adversity of maintaining a stable and lasting relationship is the core of the story. 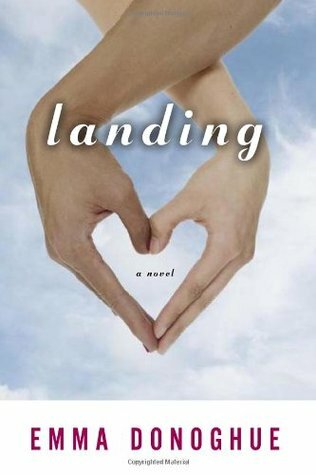 The Theme: After researching about the best lesbian novels to read, I have seen that Landing has been consistent on the top of the lists and seeing the author’s profile, I had this urge to read this novel as soon as possible. The LGBT theme is good that it does not fully exhibit popular lesbian issues as the main characters' adversities are about distance and enduring their differences. The delivery of light romance despite their imperfections is very effective in the first parts. There is this amusement whenever they were exchanging E-mails so I can recommend this to those people in Long Distance Relationships who haven’t met each other or just met in person in just a few times. 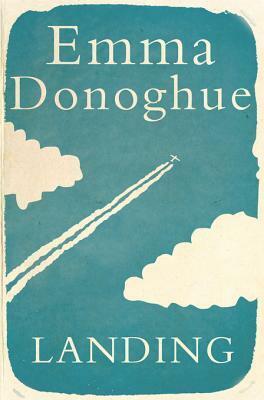 This novel explores the problems of loving someone who is 5 Thousand Kilometers far away from you. It is true that love does not choose people, time and distance; because of this there will come great struggles in between. Reading the mini summary on Goodreads made me curious to read it expecting much. I want to explore how LDRs work because I have friends currently in the same situation. The Characters: My view about the two characters is not the same. I admire how Sile fought the struggles just to find ways to be with Jude, the way she will do anything for love being a mature modern woman herself. There is a part where she almost gave up but the way she stood up in the end is still admirable. On the other hand, I find Jude as careless, less rational and emotional though she has this very adorable side. I can see that the author planned their differences carefully to create conflicts that readers could sympathize. The more they differ, the more also they become closer. Whenever they exchange E-mails, you can feel this unconscious hunger to know and cling to the other. Emma Donoghue made them opposite with complexities so that they would find a virtual home in each other. The Story: Like I said, the first chapters made me smile due to the characters’ blooming romance. The humor injected is satisfactory. As the plot progresses, the spice lessen because of unmoving narratives involving the other characters like Sile’s friends. A lot of happenings seem stagnant at the middle part especially when Jude acts up. It is also one of those few novels that took me longer (two months) to finish due to lack of progress to some important parts of story. Either you can predict how will it end or be disappointed although it is not a sad end at all. To be honest, it made me upset that one of the character’s realization just came in the end. My Verdict: Overall, this novel is good for those who want to know the struggles of LDR relationships and the sacrifice one should give. Lessons could be learned about love but don’t expect to be moved that much. Prepare yourself of boredom at some parts and disappointment on one of the characters. "You could know a friend all your life and still find it a complete mystery why he or she loved this particular individual, out of all the people in the world." "In the market I saw a woman in a cafe and thought, why can't I love someone like her instead of you?" - Jude's deleted line in her E-Mail to Sile.